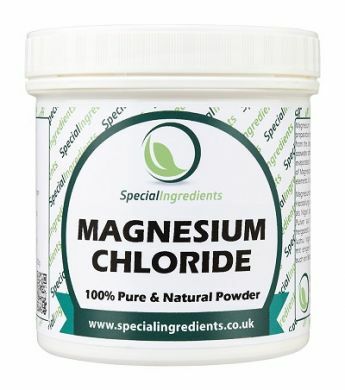 Medium pot of 250g Magnesium Chloride. Magnesium Chloride is an important coagulant which is used in the preparation of Tofu from Soya Milk. It can also be used to regulate acidity. Magnesium Chloride is also used as a health supplement. A white powder extracted from seawater. In Japan it is called Nigari, derived from the Japanese word for “bitter” and in China it is called Nigari or Lushui. It is also an ingredient in baby formula milk. Easily soluble using hot or cold preparations.